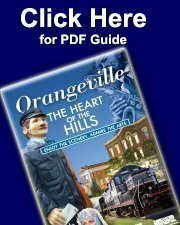 Every July Downtown Orangeville hosts its Annual Founders’ Fair & Sidewalk Sale. The streets are filled with Merchants offering Great Sales, live music, buskers roaming the streets, Children’s activities, food, rides and much more. Fun for the entire family! Friday night come out and see A Different Spin as they perform their amazing Fire Show. Saturday, come out and watch local performance groups along Broadway, listen to great music on the Meridian Stage, paint on the Monster Mural and be entertained by buskers as they impress you by their amazing feats. Great Canadian Shore Line Clean-up!